Precision Wildlife Services: Here's lookin' at you Kid! Squirrel season is upon us! Here's lookin' at you Kid! Squirrel season is upon us! Oh but their so Cute! The Eastern Gray Squirrel has been a big attention getter for us this year...people are always intruiged by the removal of the cute little pups. ﻿The Fall Frenzy! Squirrels of all types are producing their young and some are nurturing their juvie sized pups using rooftops as their playgrounds. Tis the season where squirrels invasions are at their most notable because squirrels begin to forage the acorn fields for some winter grub and bring it into your house..we mean their nests. Storing their food in the most suitable areas in case a tough winter keeps them at bay, keeps us here at Precision Wildlife on the move! 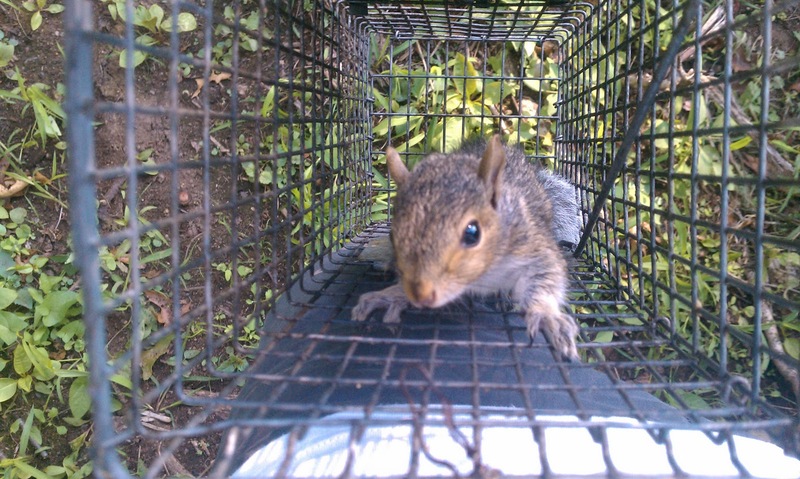 This squirrel has caused a blockage! ﻿ ﻿﻿The eastern gray squirrel does not hibernate, they also use their sense of smell to find their "secret stash" when food is scarce! They aren't that smart and sometimes forget where they buried their nuts, but this is OK because someday that nut will be a tree and trees are good! So if anyone ever asks you what they are good for you have a most logical explanation. We Know What Your Thinking! Oh no what if the squirrel forgets its nuts in my attic....I don't want a tree in my attic! Precision Wildlife won't let that happen infact we'll also inspect to see if it/they; matted down your insulation down to the point it is ineffective, chewed your wires cauising a fire hazard, left feces & urine deposits about, or chewed structural pieces of you home....Oh but their so cute! 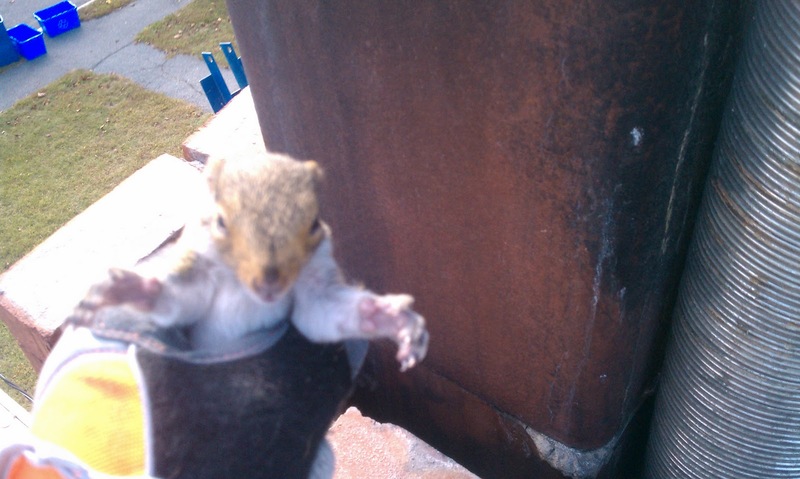 Point of entry is key and we'll find it because we have ladders and we literally think like squirrels! Understanding home maintenance such as gutter cleanings, yearly roof inspections, house clearing of tree limb and other home maintenace services will help keep your home safe againts all types of critters! We are like your personel body guards against squirrels!